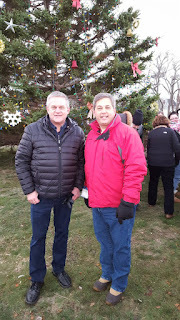 More than 22 years ago my brother Ringo first had the idea that our home city of Gloucester should have a Christmas tree at Kent Circle for all to enjoy, and thus began a wonderful tradition. 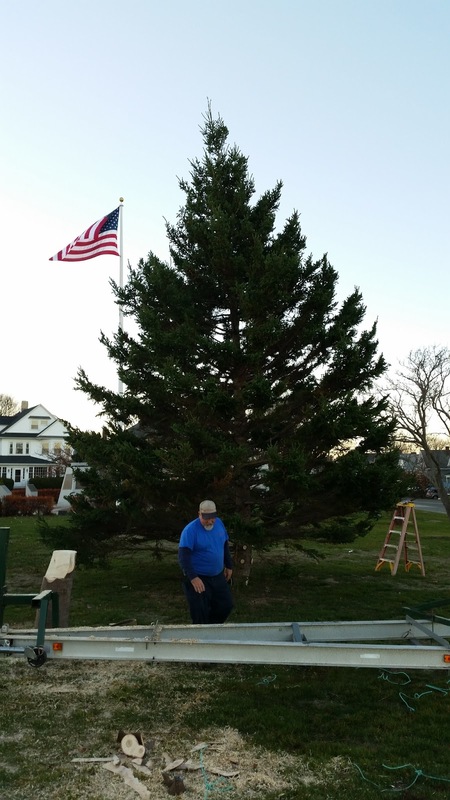 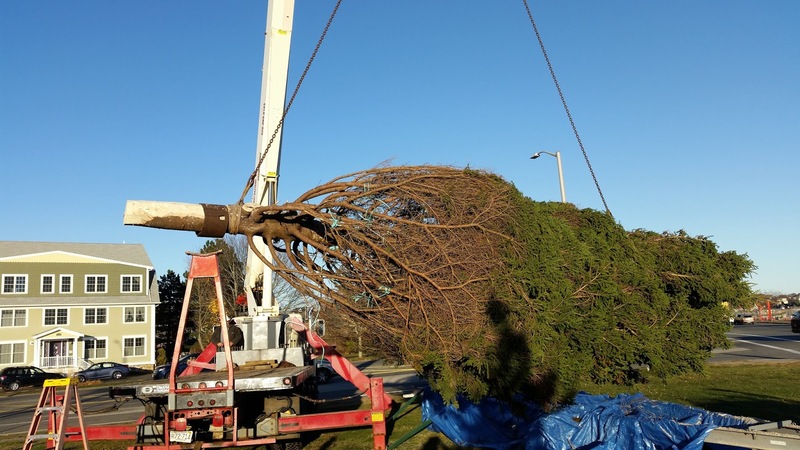 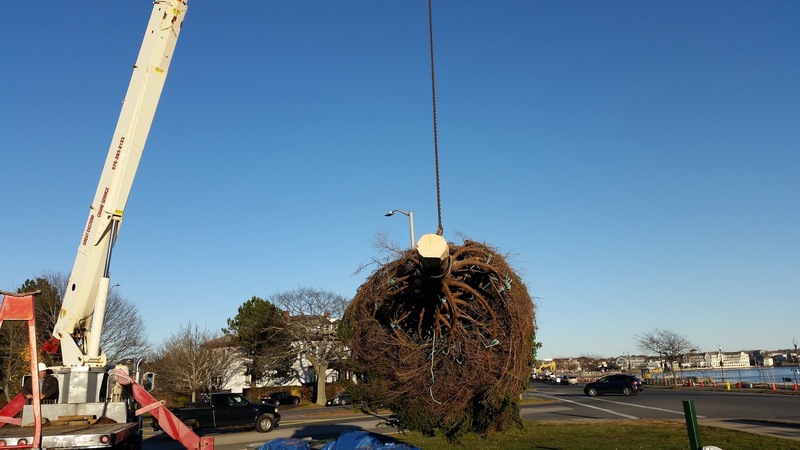 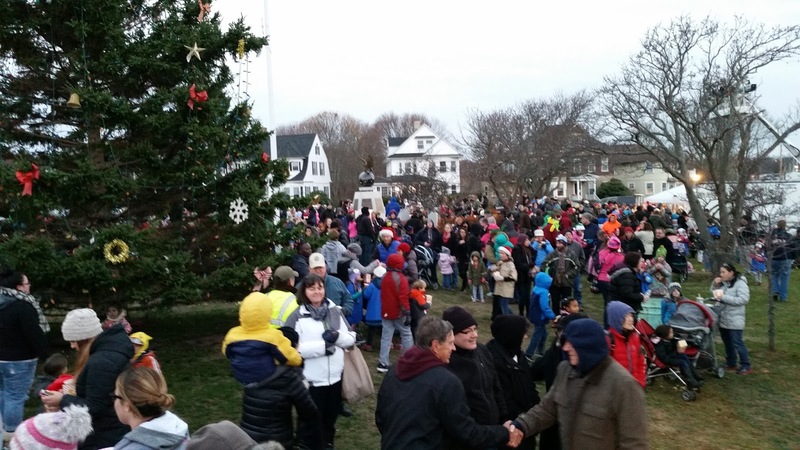 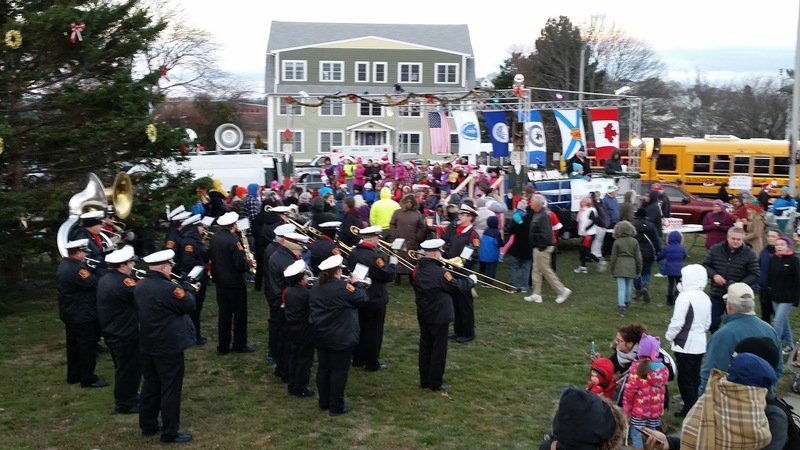 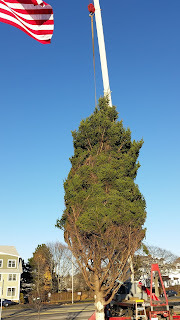 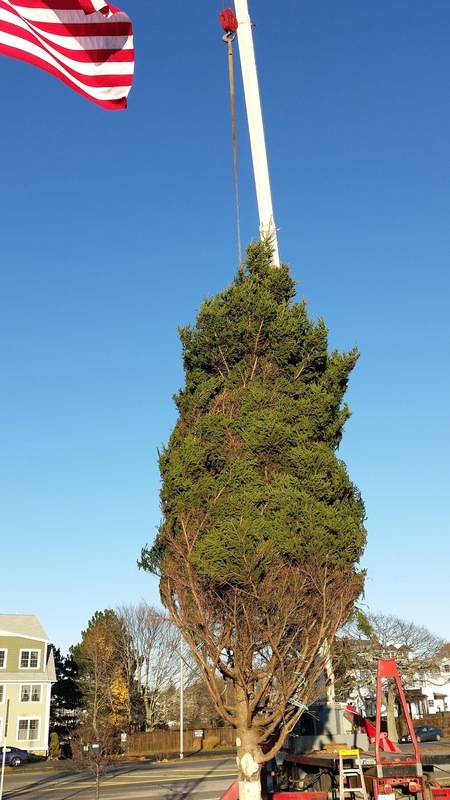 Three years later, the people of our sister city, Shelburne, Nova Scotia joined and strengthened that tradition with the annual gift of a 30 to 50 foot tree for the people of Gloucester. For two decades my family, along with friends and helpers, has planned and organized a festive gathering of music, food and drinks, and the lighting of an evergreen tree. We also make very special arrangements each year to contact Mr. and Mrs. 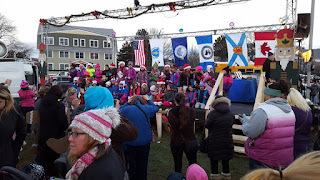 Clause so that they can visit with our area children. 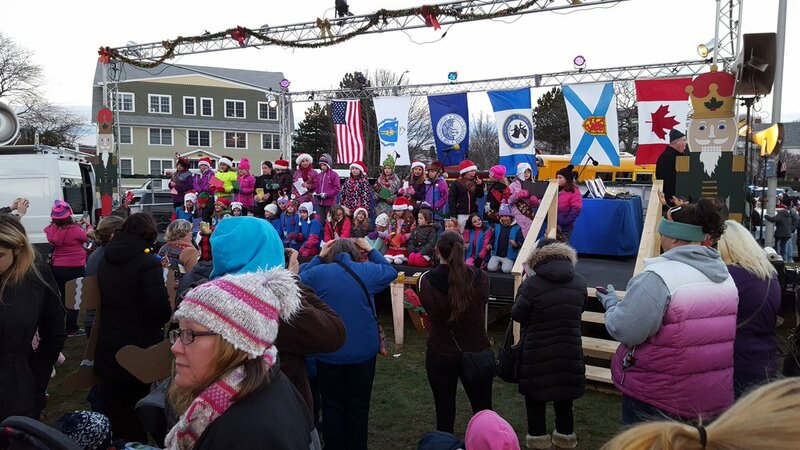 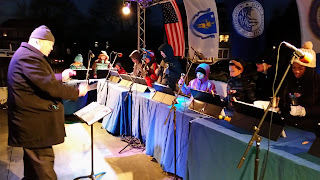 Following its journey from Shelburne, Nova Scotia we strung more than 3,500 lights and decorations on the tree - it looked grand overlooking our stage where live entertainment rang out for the huge crowd who came out to join us following the Gloucester Christmas Parade. 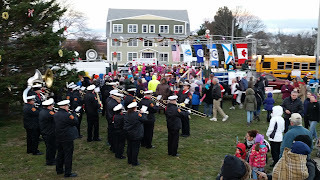 We were honored again this year to have Dave Alward, Consul General of Canada to New England on hand for the evening. Joining us by phone was Shelburne Mayor Karen Mattatall , who officially presented the tree to Gloucester Mayor Sefatia Romeo Theken, who accepted it on behalf of the people of Gloucester. 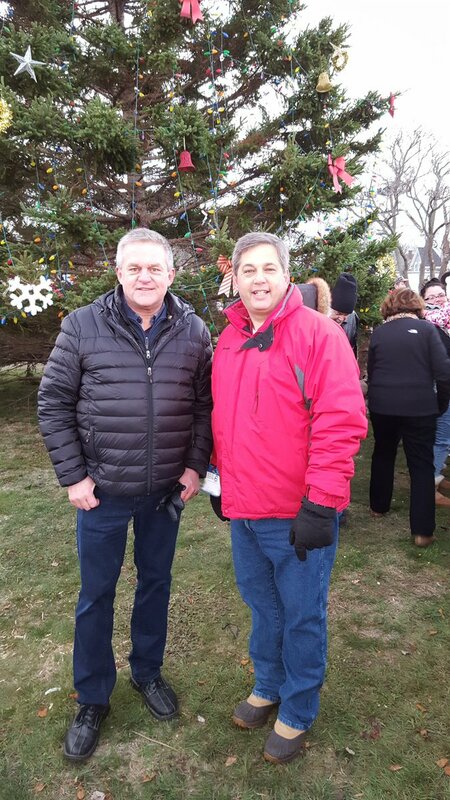 The international spirit of cooperation and friendship between our two cities is amplified by mutual respect and a tradition of genuine comradery. 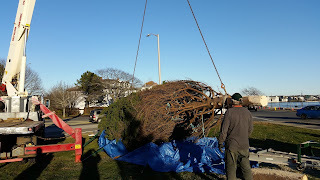 The long heritage between these communities is deeply-rooted in our maritime traditions and is extended through the contributions of tree saplings from the Topsfield Fair to Shelburne. 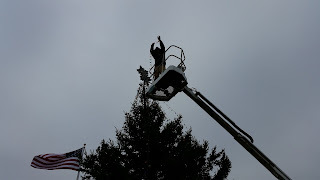 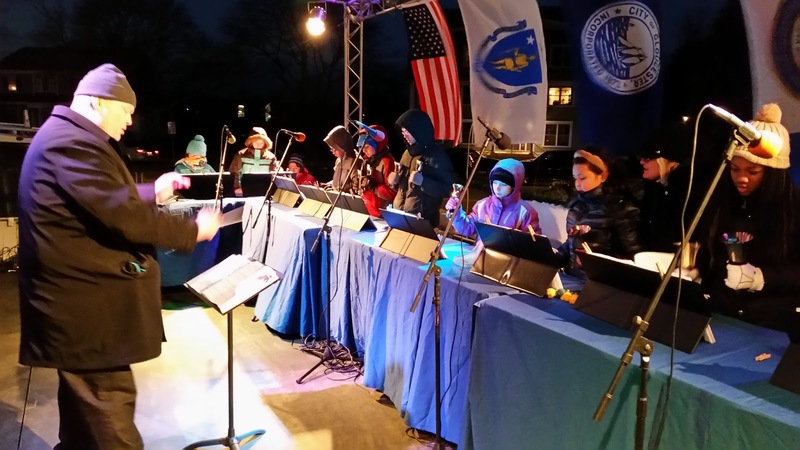 This year’s lighting was dedicated to Rudy Macchi and Peter Todd. 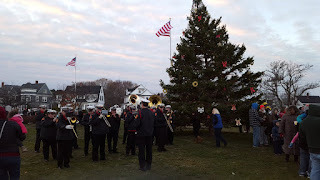 The Tarr family hopes that you and the people in your home, and hometown, enjoy this special time of year by sharing the joy in your life with others.